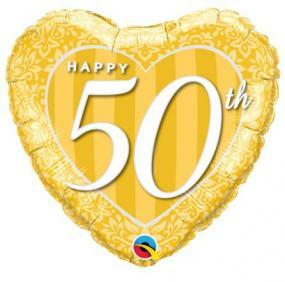 Heart shaped 50th Birthday foil balloon for decorating your celebration venue. 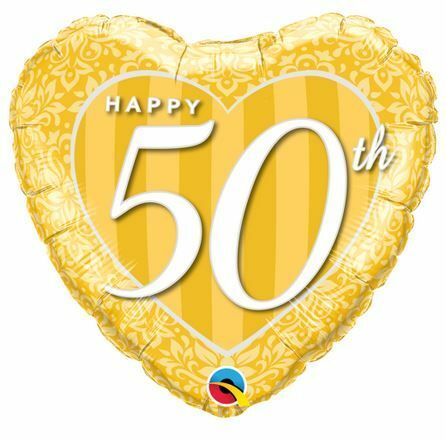 This gold balloon is printed with the words Happy 50th and requires helium filling. The balloon measures 18 inches across and is made by Qualatex. Add some plain gold foil hearts or gold latex balloons to create a lovely decoration.